You are here: Home / Cat Facts & Fun / Cat Love Bites – Why Do They Do That? 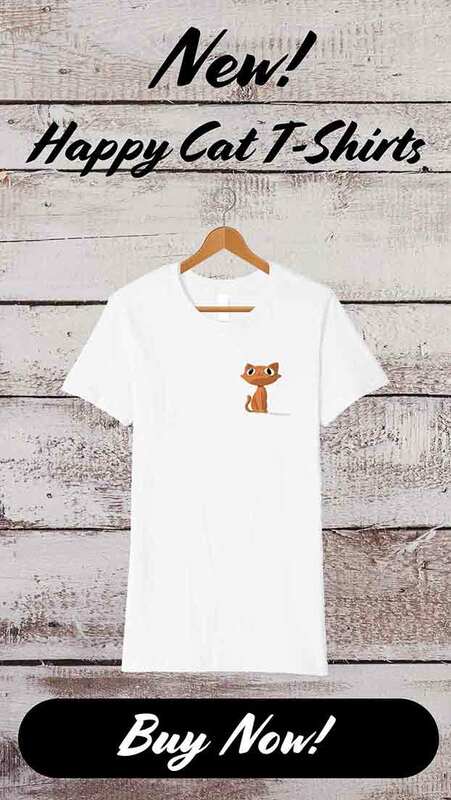 Cat love bites – if you are a cat owner, chances are good you either love this common cat behavior or you hate it. But if you are a first-time cat owner who is just now getting acquainted with this phenomenon, you may just be a bit freaked out the first time you experience cat love bites. You may even wonder if you are doing something wrong that is causing your cat to bite! How can you tell cat love bites apart from other kinds of cat bites? And if you aren’t a fan, how can you stop cat love bites from happening? Let’s jump right into this important topic and find out! Cat love bites are not the same as other kinds of cat bites. 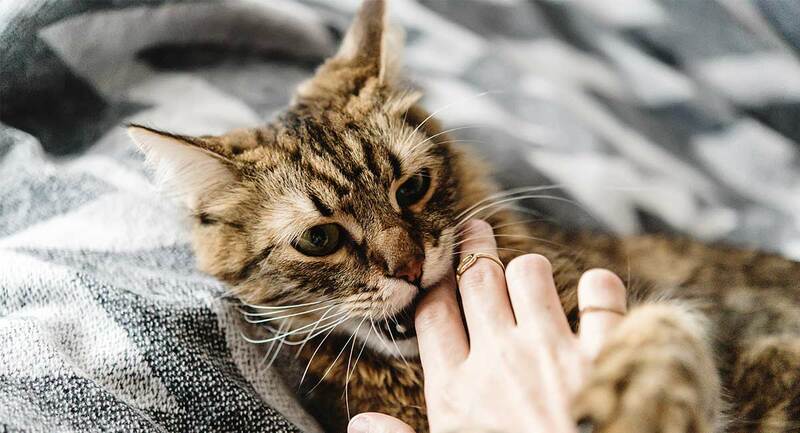 There are many reasons why cats may bite, and it is important to know a little bit about each kind of cat bite and why it happens. 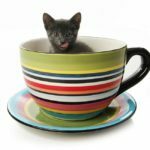 While we may never fully understand every nuance of what goes on in our cats’ brains, there is general consensus among feline researchers and veterinarians. 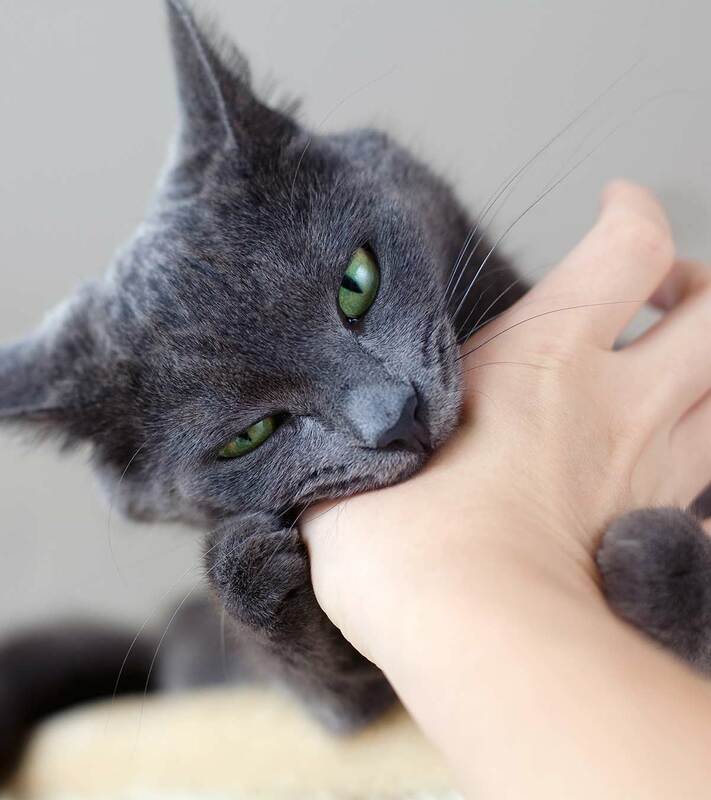 Love bites are usually a form of feline affection….or at least a cat’s way of verifying ownership. and they may include rubbing lips or cheeks on you, purring, kneading your skin and other types of physical contact. If you are not sure that what your cat is doing is cat love bites, you can watch this short video to see what the behavior looks like. Some cats suffer from a condition called hyperesthesia syndrome. Basically, this means the cat doesn’t easily tolerate being handled or petted. Sometimes, a cat with this condition may even act like being touched is painful – and it is quite possible the cat is in pain! Because your cat can’t say to you “Hey, that hurts!” they have to find another way to get you to stop doing what you are doing. Often, the fastest way to get this message across – and make no mistake, it is an urgent message to your cat – is to nip. If you don’t get the message right away or think your cat is just play-biting, the nip may turn into an actual bite. Some cats only resist being handled or petted on certain areas of the body, while others may be overly sensitive everywhere. Hyperesthesia syndrome is a neurological disorder that can manifest in mild or severe forms. Mild forms can include twitching or shuddering, resistance to being petted on the lower back area, biting at paws or licking paws. Severe forms can cause self-mutilation and seizures. This disorder is thought to be more prevalent in Oriental shorthair breeds such as the Burmese, Siamese or Abyssinian, but the condition can occur in any cat breed. 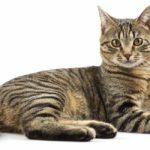 Make no mistake – when your cat love bites turn into skin-breaking bites, they are no longer love bites. It is time to look deeper to figure out what message your cat is really trying to give you. She may need your help! 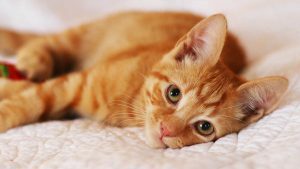 While cat owners, veterinarians and feline researchers all agree that “cats and love bites” is a real thing, there is still much to learn about a cat’s motivation for giving love bites. It can be helpful to keep a log of when my cat gives me love bites. Not just to understand how frequently this happens, but also to jot down notes about what was going just before the love bite happened. Was your cat trying to get your attention but you were distracted? Were you petting him in a particular place? Did the biting start out gently but then get harder? Was your cat purring or hissing? What was his body language like – did you see any signs of aggression or defensive posture like flattened ears or raised hindquarters? Over time, these careful notes can help you decode your cat’s communications so you can avoid actions that trigger love bites if you prefer. 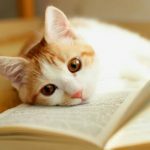 If you begin to suspect your cat may be suffering from hyperesthesia or another health condition, your notes will also be a valuable extra source of information to help your veterinarian develop a diagnostic and treatment plan. Kitten love bites are typically not a behavior to be concerned about. Kittens, like puppies, have to go through a teething process. During this uncomfortable process, a kitten may bite everything in sight trying to relieve the pain and pressure of new teeth growing in. Kittens, like human babies, also explore their world with their mouths. Ensuring a kitten has had adequate socialization time with his mother and littermates is key to inhibiting this behavior – the other kittens and the mama cat will not waste any time letting a kitten know their biting is not appreciated! Of course, if you have rescued a kitten and are nursing and raising it yourself, it may fall to you to socialize your kitten not to bite. Consulting with an animal behaviorist and your veterinarian can be helpful here to learn what a mother cat would do to control this behavior. True love bites don’t intend to break the skin and they don’t usually escalate. Your cat may purr, rub her face against the area she is “biting” or even press her lips on your skin. These actions are generally interpreted as a type of “marking” behavior. Cats have a surprising number of scent glands around their face, mouth, ears, neck and head. The rubbing releases chemicals called pheromones that are kind of like a cat’s business card. As you might imagine, the presence of these pheromones can cause some tension when you bring a new cat into the household. And if your existing cat hasn’t been prone to giving love bites before the new feline arrives but begins this behavior after the new cat’s arrival, well, you can easily figure out why! Just because love bites don’t usually break the skin does not mean there is no cause for concern. This is particularly true when it comes to children, whose immune systems can be more vulnerable to cat-borne bacteria, viral matter and parasites. But the most common disease is called cat scratch disease. This disease arises after a cat scratch or bite that transmits bacteria under your skin. Other cat-borne diseases that people can catch include salmonella, giardia, cryptosporidium, cat roundworm, campylobacter and ringworm. While these less serious diseases can be treated with medications, they sure aren’t any fun to experience and are best avoided! 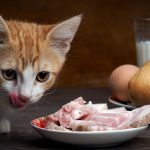 When your cat licks and washes himself, he can pick up traces of his own waste as well as environmental toxins that can then get passed along to you and your children during love bites and skin rubbing behaviors. For this reason, it is vital to teach children not to permit cats to touch, bite or rub their faces and to make sure children always wash their hands after playing with a pet cat. Just like some dog owners don’t love being licked, so too some cat owners aren’t keen on being bitten, even if it is just gentle love bites. How do you stop cat love bites from happening? The key here is to go back to your notes and begin looking for patterns. When do the love bites occur? What was happening just before you got each love bite? Were you playing with your cat or petting her in a certain area? If you can detect what may be triggering the cat love bites, you can change your behavior as a method of changing your cat’s behavior. You may also want to incorporate some toys to help you play with your cat without being so hands-on. Feather wands, laser toys, remote-controlled mice and other interactive “hands-off” toys can offer plenty of enrichment and fun without bringing you directly into close contact with your cat’s face and teeth. Cat love bites are a non-aggressive behavior, usually intended by your cat to claim ownership over you. If you’re not feeling the love from them, you can discourage your cat from giving them by identifying the times she’s most likely to give them and withdrawing the opportunity. If you do enjoy them, make sure you wash them off afterwards! Cat love bites – love ‘em or hate ‘em? How do you feel about cat love bites? Do you love them or wish you could get them to stop? Have you ever had to train a pet cat not to give love bites? Please drop us a comment to share what worked best! I never really knew why cats would bite. It’s interesting to read it could be for a number of reasons. Usually it’s painless but sometimes their tiny teeth are razor sharp! Hi, my one cat actually breaks my scin when she bites me and the blood is running, either my legs or hands, and the pupil from her eye gets big. My cat is not very loving i.e. ; doesn’t like to be held or forced with affection but his love bites are his way of affection. He never gets too rough but likes to play. I love him and accept that it’s always in his terms. I know he loves us but he doesn’t allow traditional holding petting. It’s completely normal. Always his terms but that’s just him. My cat Whiskers gives love bites all the time since she is always in such a playful mood! I love to receive her little love bites, along from my cat Snow’s kitten Nemo! They are adorable little kitties indeed! But my cat Stripes doesn’t enjoy being held, she will gently claw her way out, I know it sounds rough but she is very gentle about it, trying not to hurt you, so if your cat struggles to get free of your grasp, just gently let them down, it’s much better!